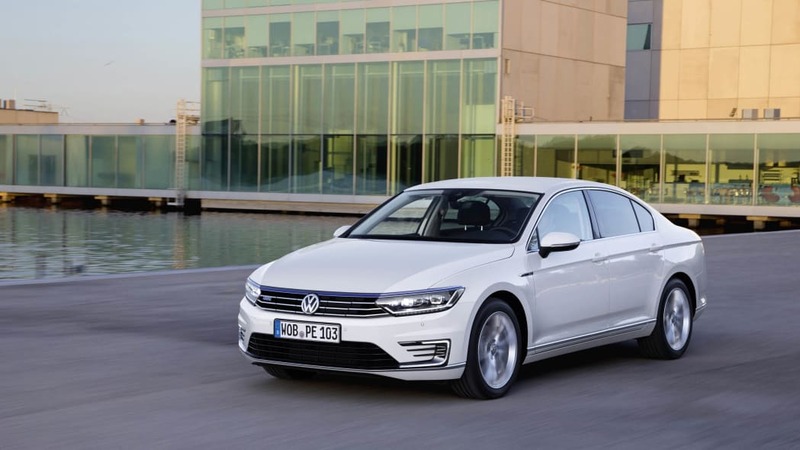 It's been the better part of a year since Volkswagen first announced the Passat GTE and revealed it at the Paris Motor Show. 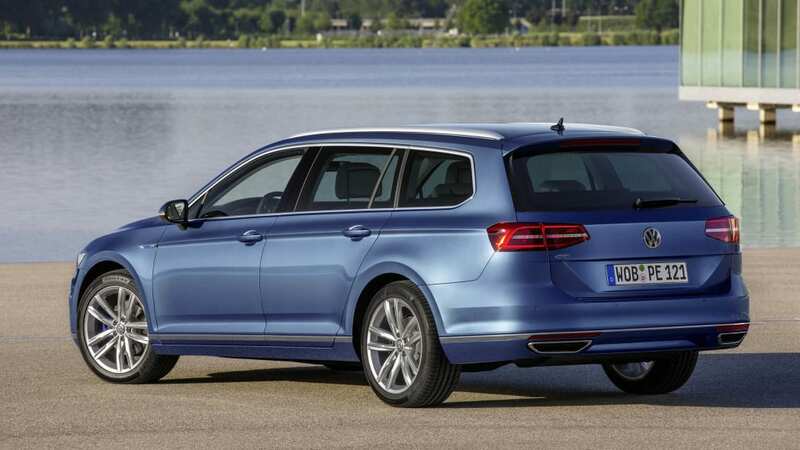 And now the German automaker is finally bringing it to market. 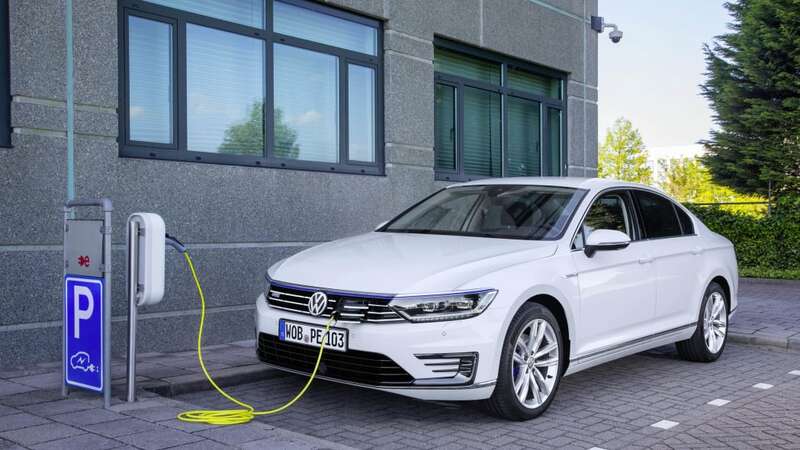 That is, at least, certain markets, anyway. 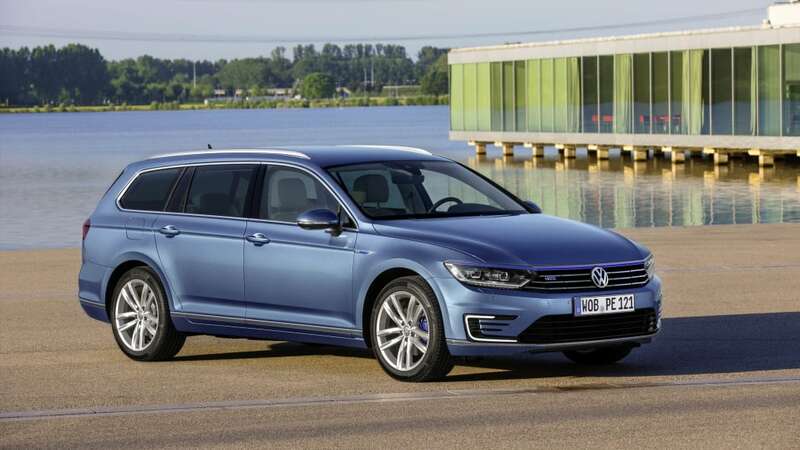 The new GTE broadens the range of the European-market Passat (which is entirely different from the model we get here) with a plug-in hybrid for the first time. 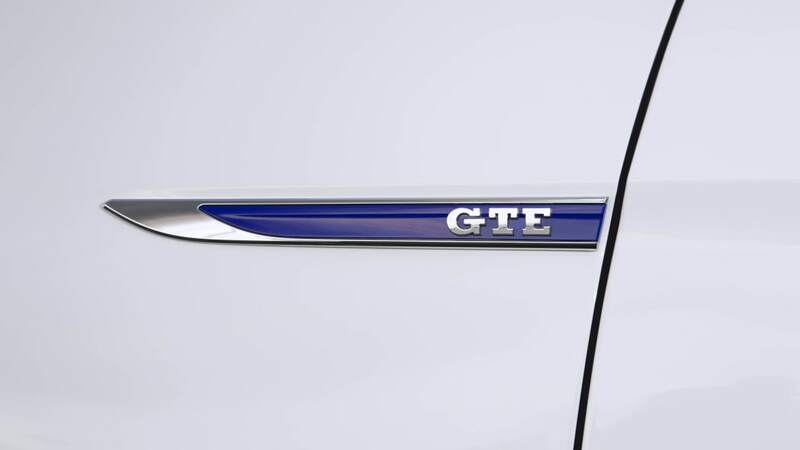 It follows the emergence of the Golf GTE which has a similar setup. 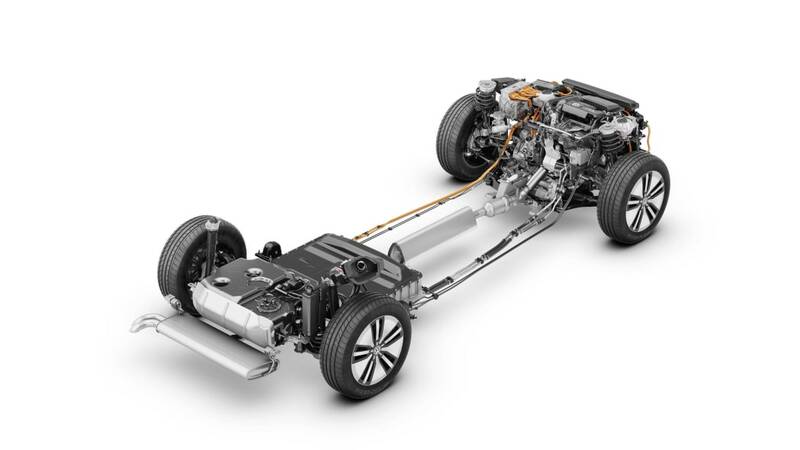 The gasoline-electric powertrain marries a 1.4-liter turbo four to an electric motor and a dual-clutch transmission, producing a combined 215 horsepower. 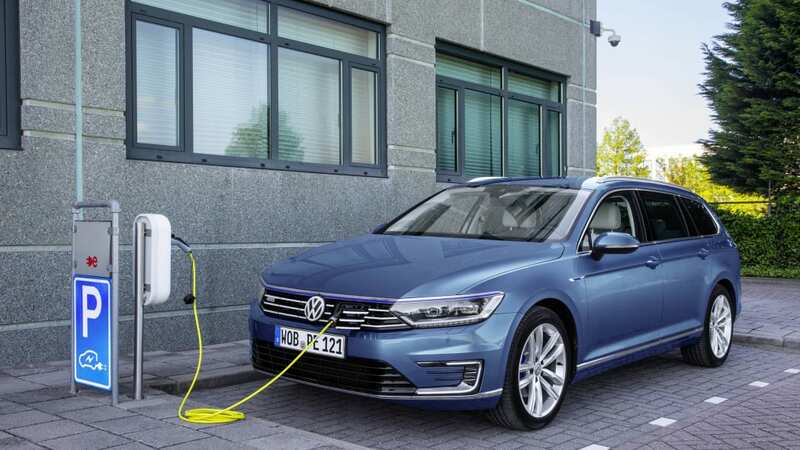 It can also be switched into pure electric mode, giving it a battery-powered range of 31 miles and warranting exemption from congestion charges in London and other such cities. 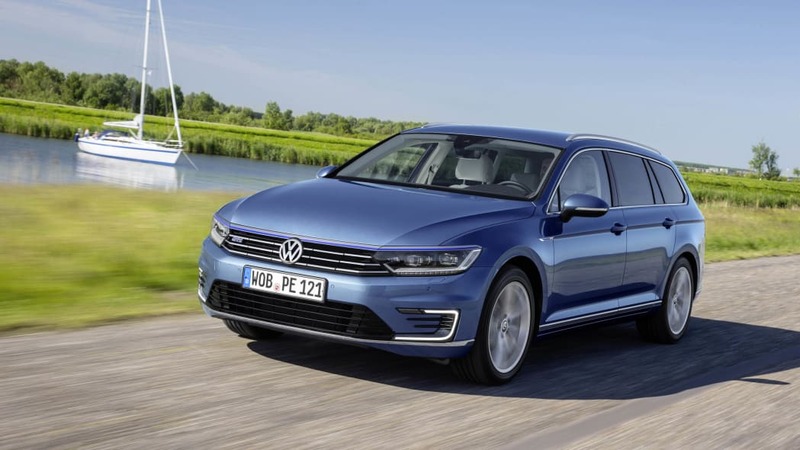 VW will offer the Passat GTE in both sedan and Variant wagon forms, with sales already beginning in select markets and broadening across Europe this fall. 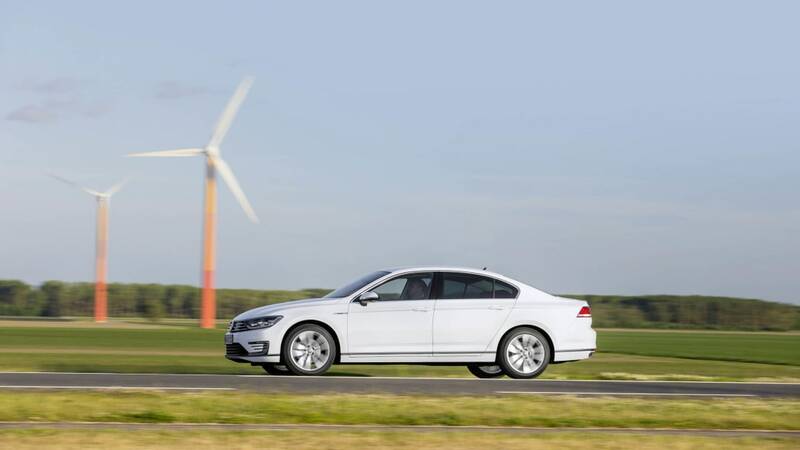 Asian markets can expect to see the new plug-in by year-end as well. 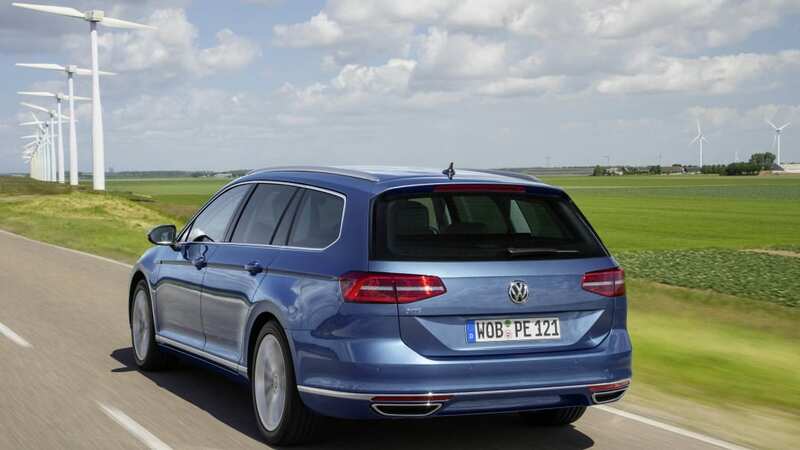 Interested US customers will just have to admire this particular model from afar. 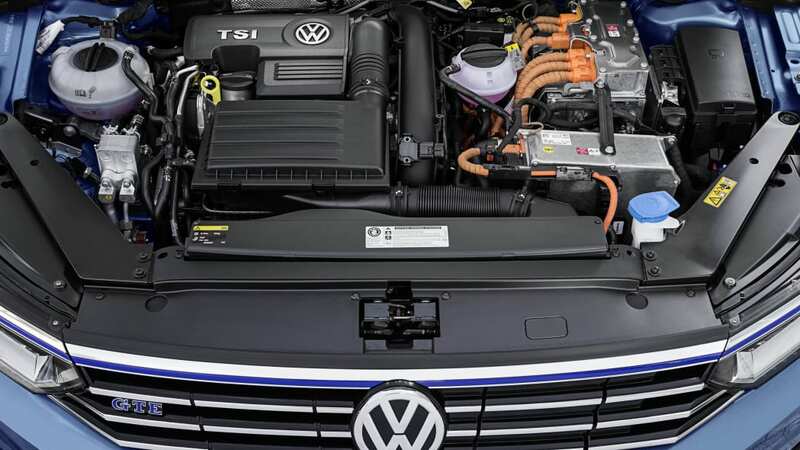 The Volkswagen continues to electrify! 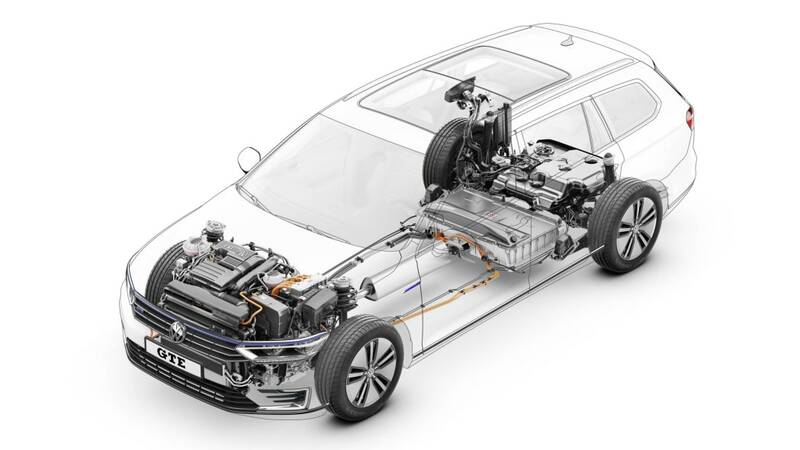 Following the Golf GTE*, comes the next high-volume model with a plug-in drive system: this time the German carmaker is electrifying the new Passat GTE. 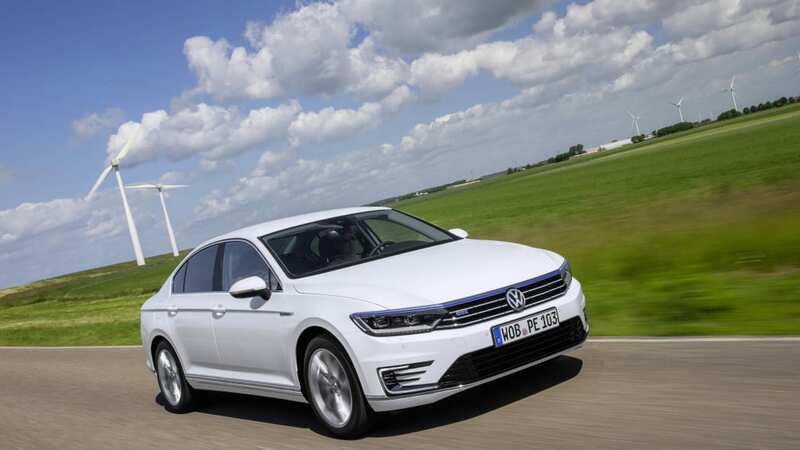 Its launch marks the debut of a new generation of business and family cars – zero-emission vehicle and long-distance touring car all in one. 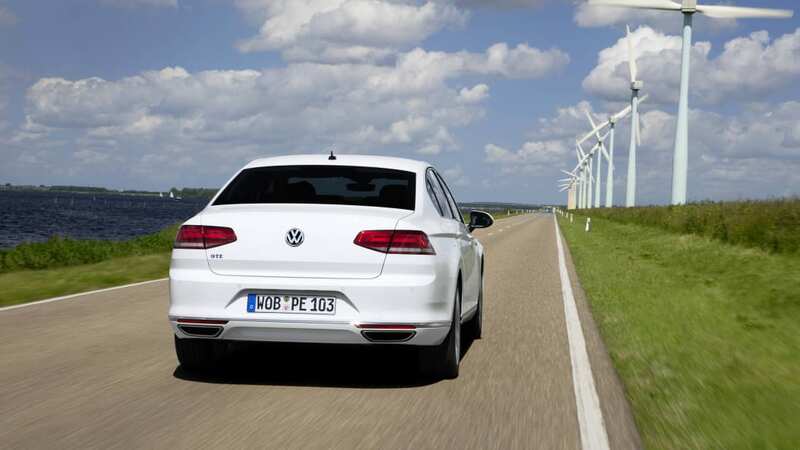 A Volkswagen that combines the present and the future. 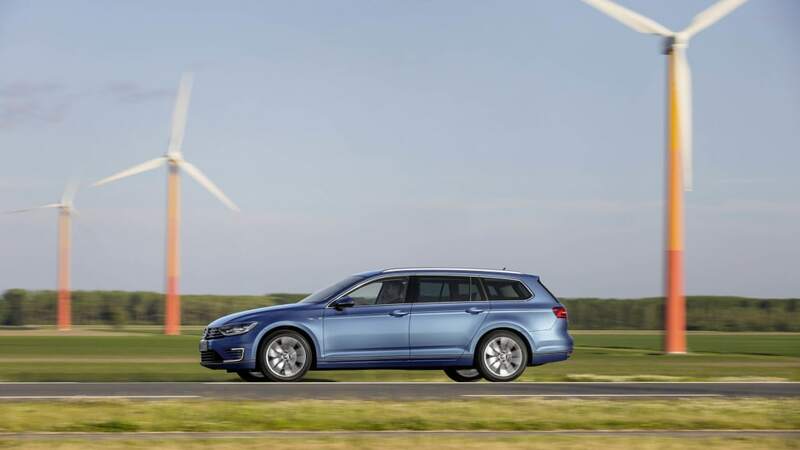 A car that boasts not only one of the most progressive drive systems of our time, but also an array of innovative assistance and infotainment systems that is ground-breaking in the segment of large family cars. 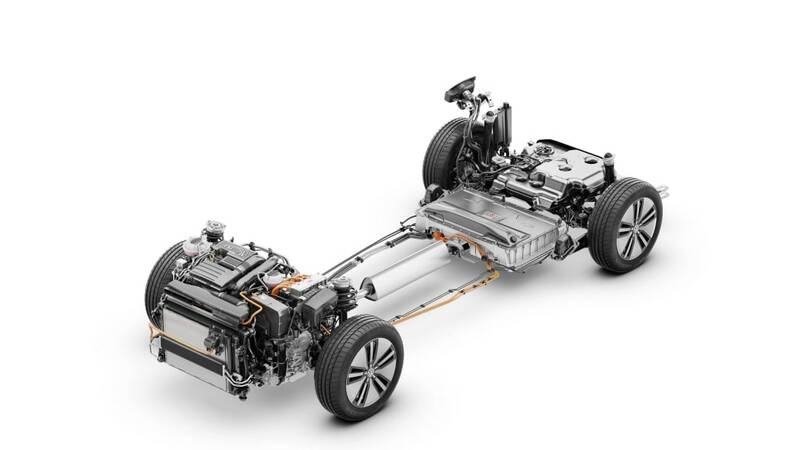 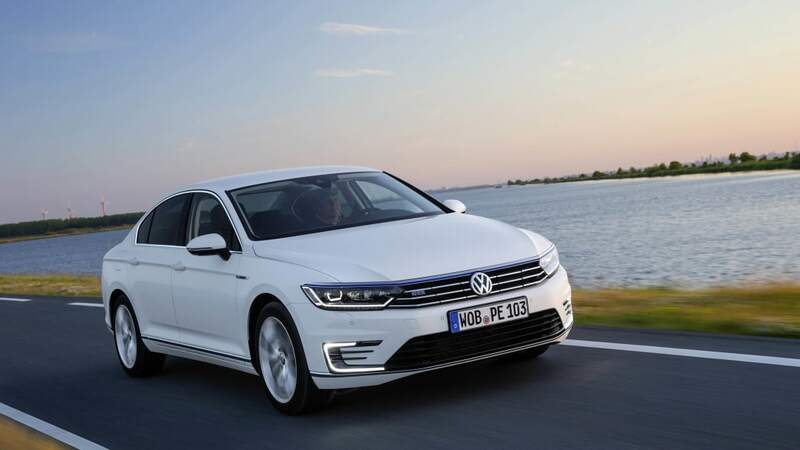 With superb system output of 160 kW / 218 PS, frugal NEDC consumption of just 1.6 l/100 km and 12.2 kWh/100 km (Variant: 12.4 kWh) and an all-electric range of up to 50 kilometres, the Passat GTE defines a new level of efficiency in its class. Under normal operating conditions the new Volkswagen always begins its journey in all-electric and thus emission-free mode. 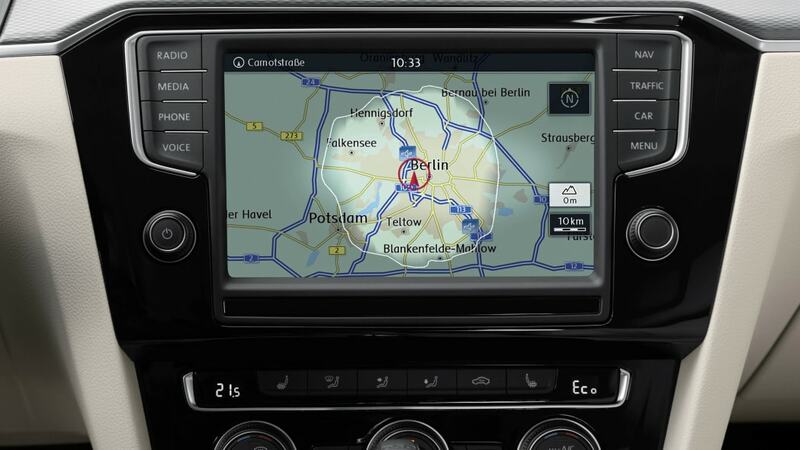 This E-Mode can also be activated at the push of a button, for example towards the end of a journey as you enter a city. 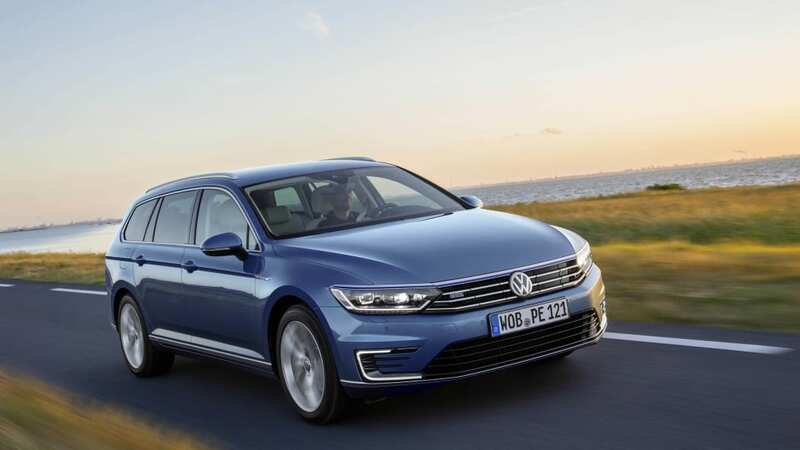 In cities like London, drivers of the Passat GTE are therefore exempt from the usual congestion charge. 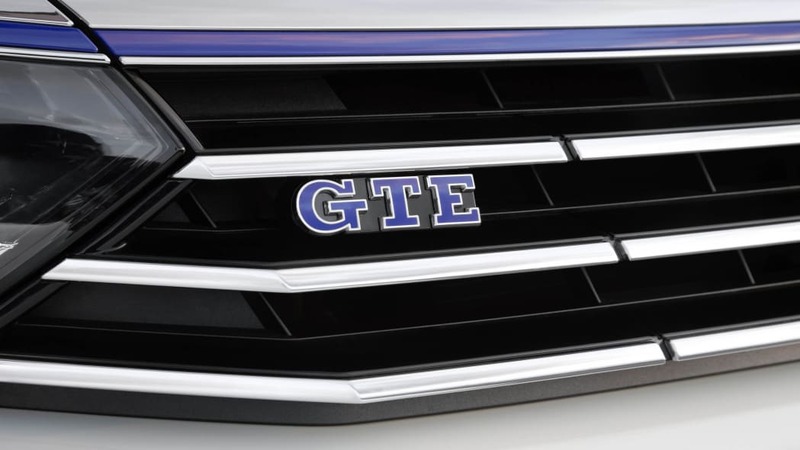 The Passat GTE is an independent trim line. 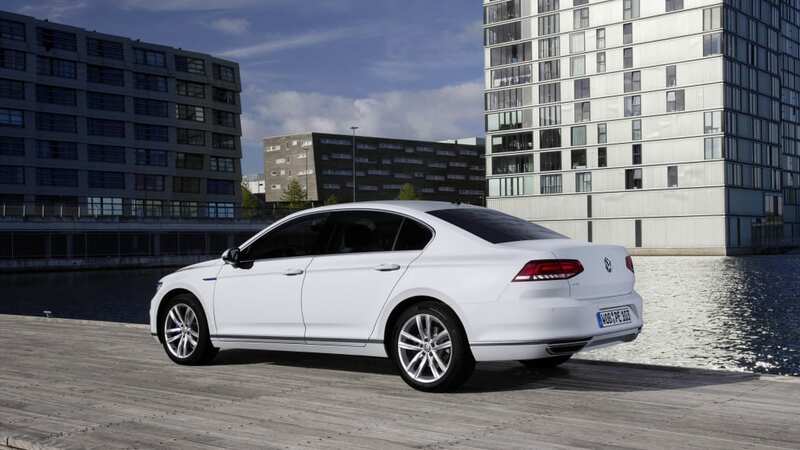 The high-tech model's extensive standard features include LED headlights (for main and dipped beam), Driver Alert System, Automatic Post-Collision Braking, the Front Assist ambient traffic monitoring system including City Emergency Braking function, a rain sensor, ParkPilot for front and rear, chrome trim on the side windows and comfort seats (in the front). 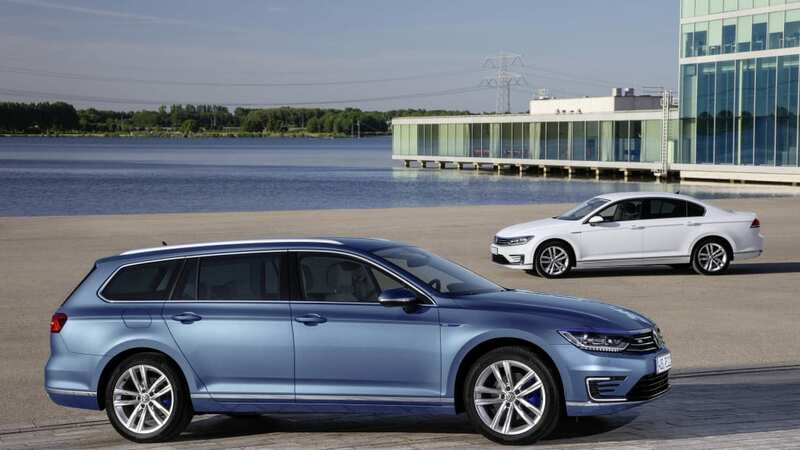 In addition, there are elements of individualisation that have been conceived solely for the Passat GTE. 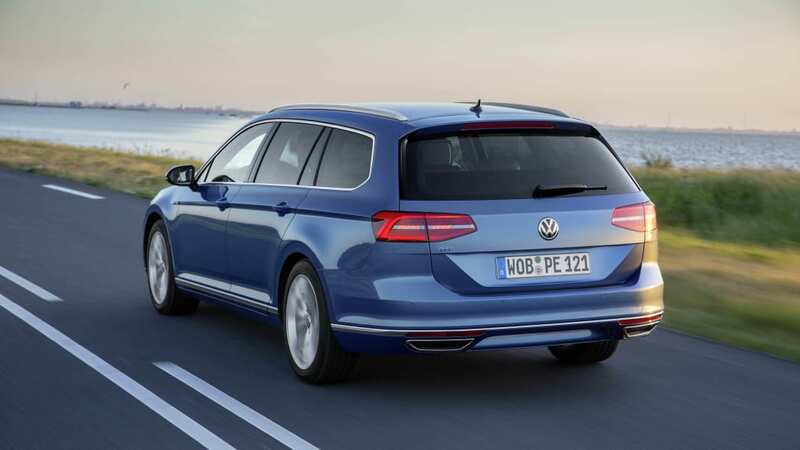 These include at the front a specific chrome radiator grille unit with an integrated striking blue stripe – blue being the colour of Volkswagen electric motoring. 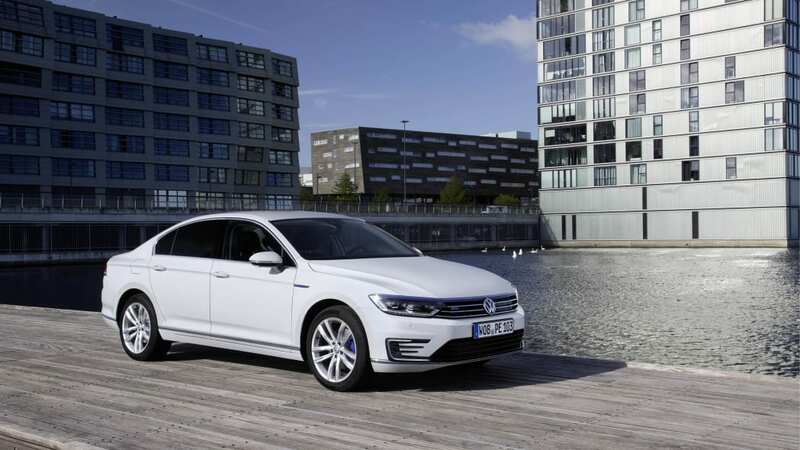 The Passat GTE's progressive charisma is strengthened by the completely redesigned bumper with a C-shaped LED daytime running light signature. 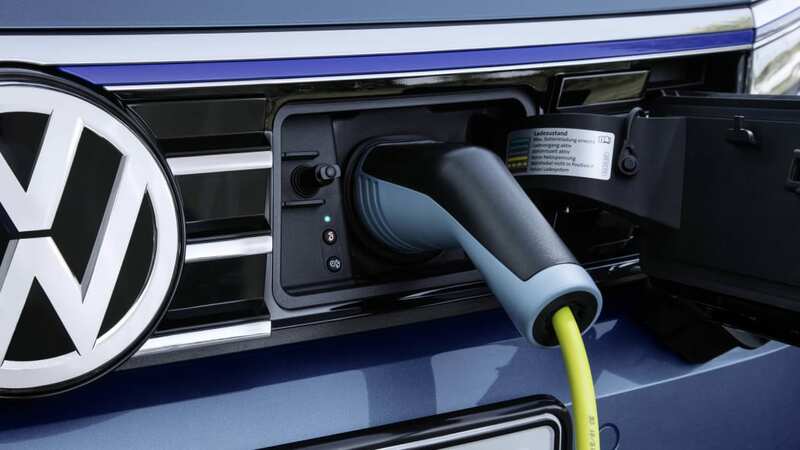 In common with the blue design elements, this C-shaped signature is an identifying feature of all Volkswagen electric and plug-in hybrid models. 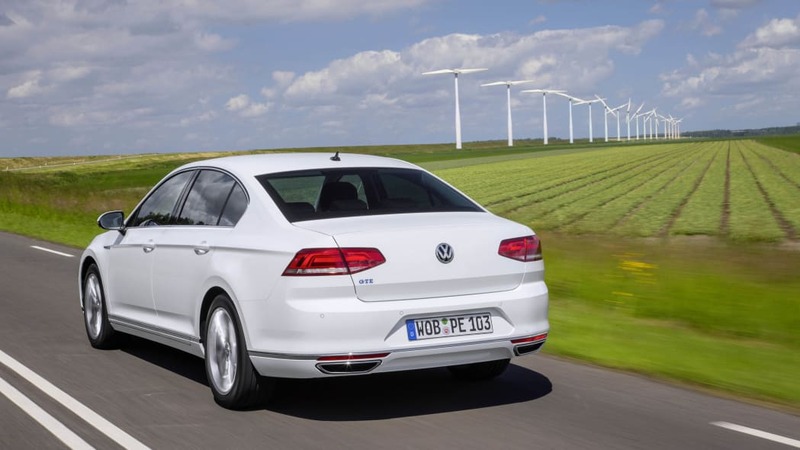 From the side the 17-inch Montpellier alloy wheels identify the Passat GTE as a plug-in hybrid. 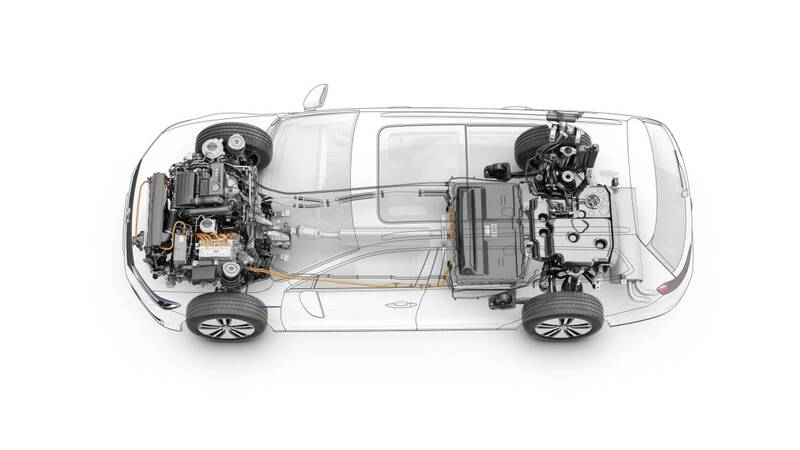 The interior too has been conceptually aligned to the new drive system. 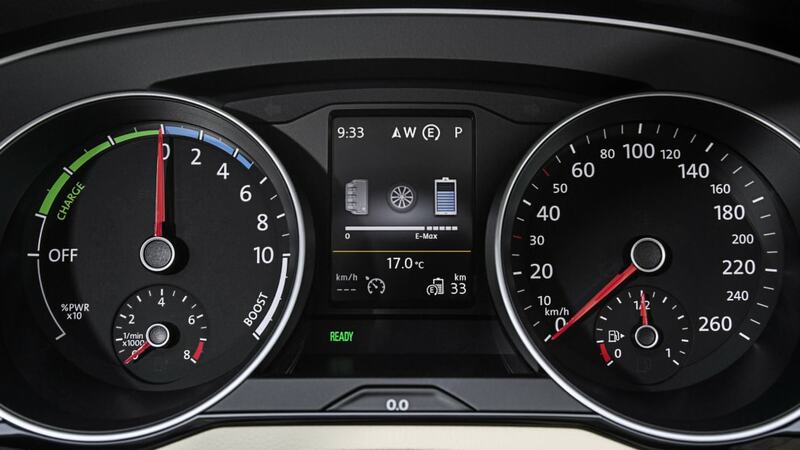 Here the engineers and designers have tailored the instrument cluster and standard Composition Media infotainment system with dedicated menu matrix to the functions and displays specific to the plug-in hybrid's drive system. 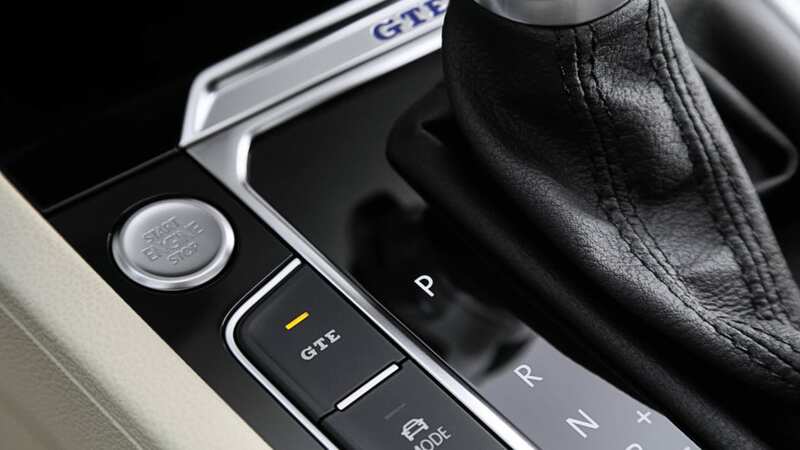 Standard details such as the blue ambient lighting, the multi-function leather steering wheel with blue decorative stitching, a GTE-specific gear knob with blue stitching and the seats, likewise with a matching blue basic structure, have also been individualised. 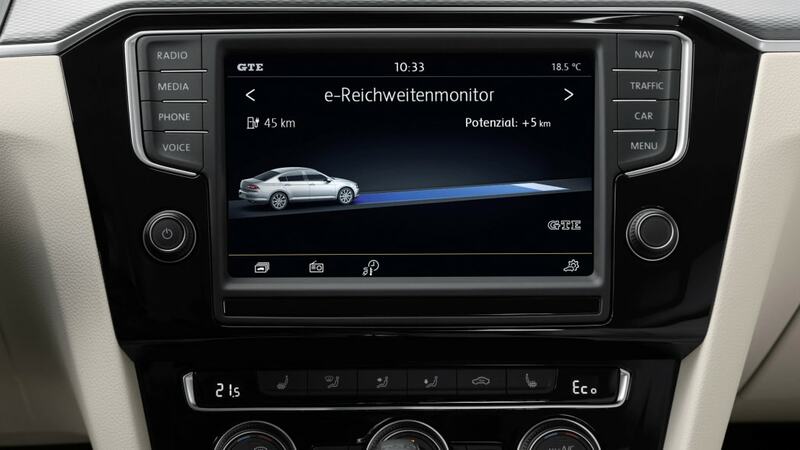 The interior has been further refined with aluminium-look and gloss black trim. 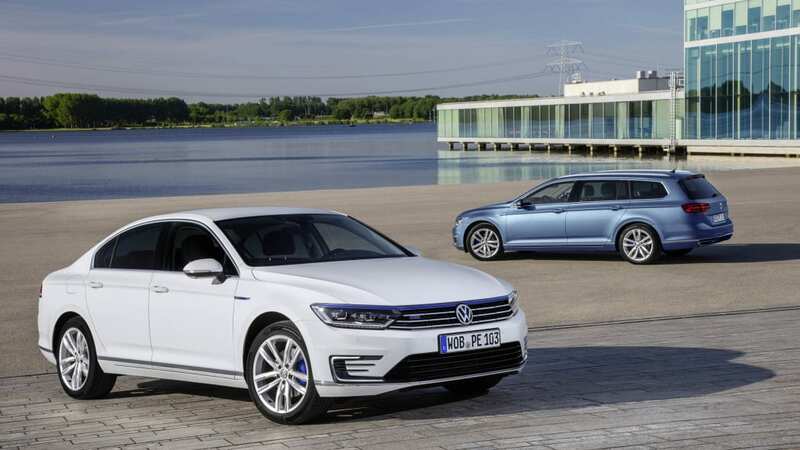 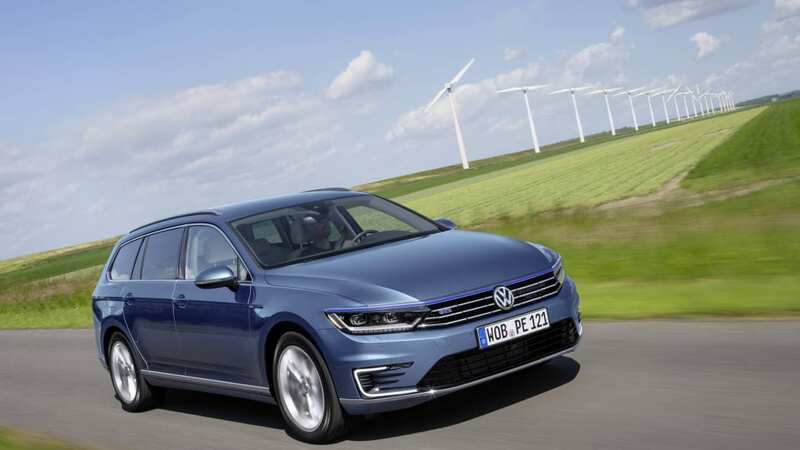 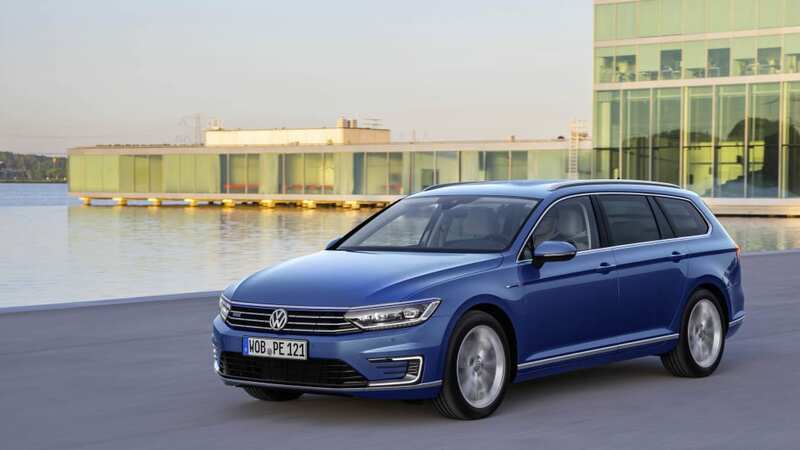 The Passat GTE** and Passat GTE Variant*** will arrive on the European market this autumn; in the first few countries advance sales have already begun. 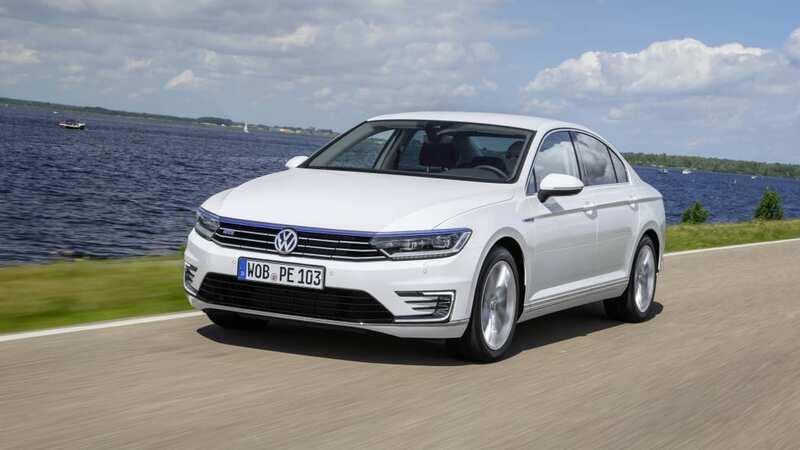 In Asia the launch will also be this year. 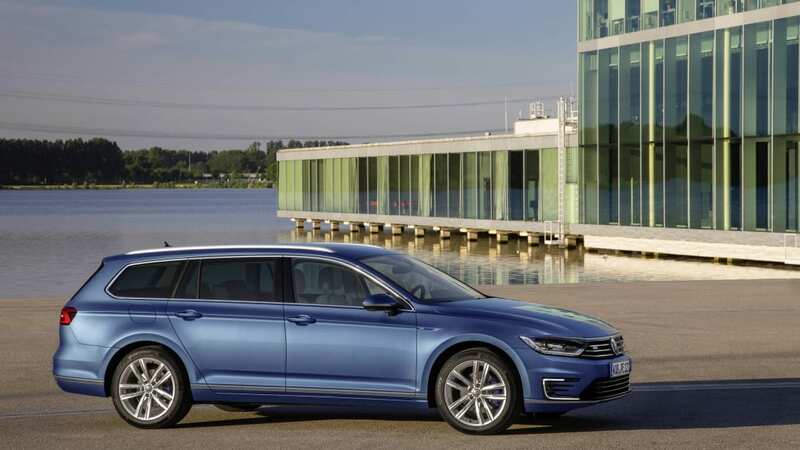 In terms of the brand, the Passat GTE is an elementary building block in Volkswagen's electric motoring strategy.